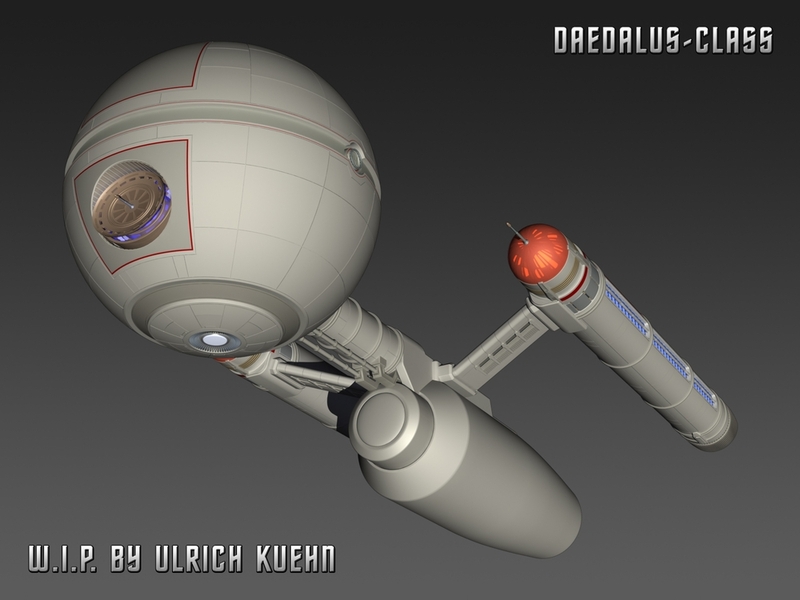 This is one of three 3D-Projects for this year - the DAEDALUS-CLASS for my Fan-Fictions (or better: for the Covers). I´ve made a MU-Version years ago, but it is not very detailed (because it was one of my first 3D-meshes and my 3D-skills were very poor at this time). Inspired by two great 3D-artists and their DAEDALUS-meshes (Madkoifish and XFozzboute) I´m actual building my own version for the Primary-Universe. The second ship is an own design inspired by a ship-sketch from John Eaves. 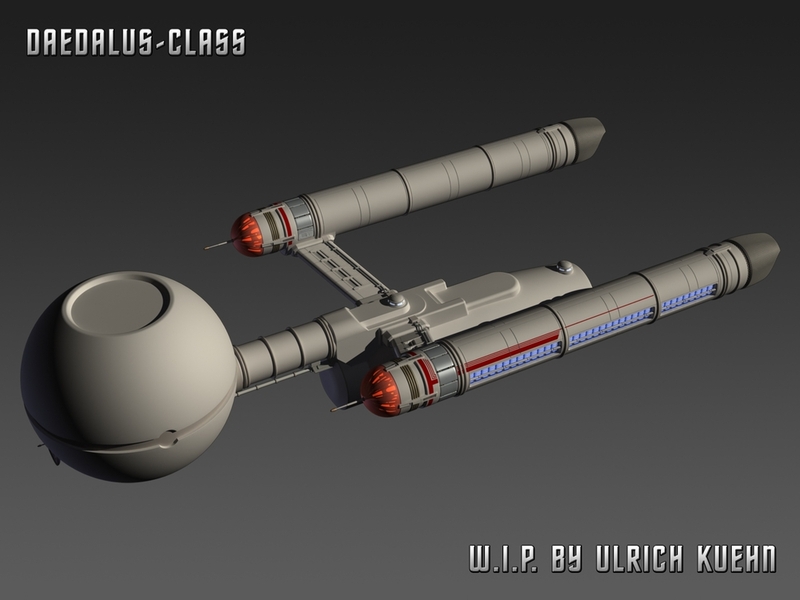 Last year I started with the klingon VOR´CHA-CLASS. 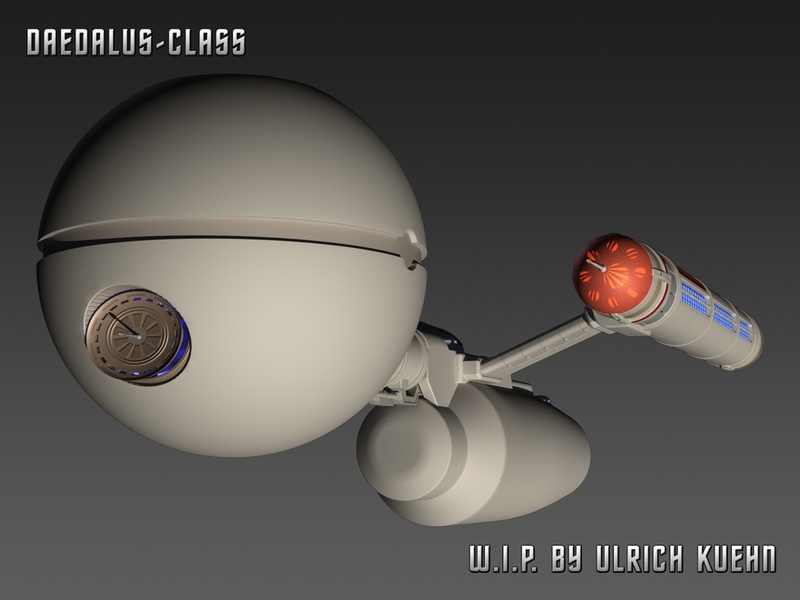 But I guess that I finish the DAEDALUS-CLASS first. Nice modelling on all three. I like the Stardust a lot. Not sure about that bridge structure though. Looks too boxy. Like - [Deleted User] on March 16, 2019. I also like the Stardust quite a lot, reminds me of John Eaves' concepts for STO. 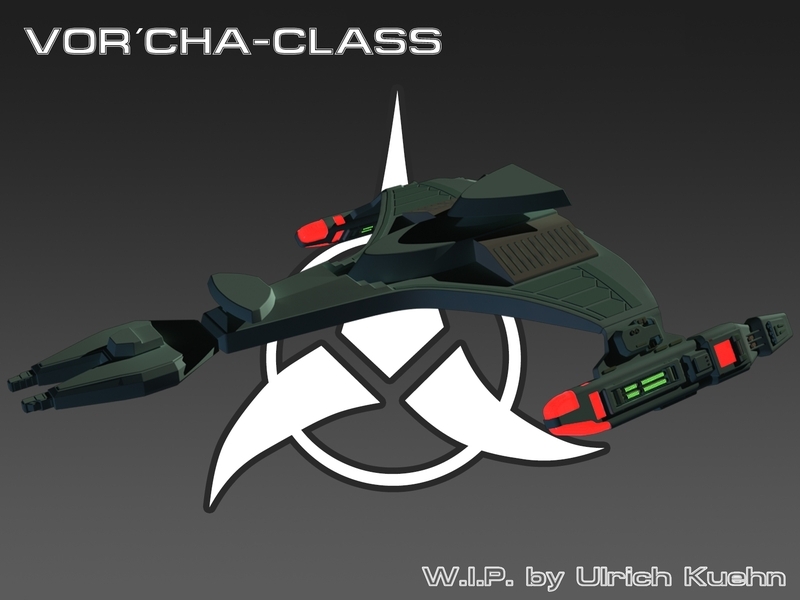 Awesome... someone finally models the Vor'Cha! I thought also so by the first time I´ve seen the design made by John Eaves (it was not Doug Drexler). After a few more looks (maybe it looks better with windows and all structures that not at the primary-hull yet) I liked it more and more. In my FF it´s a 100% warship-class so it needs a few hard lines IMO. But that´s just my own taste. It IS from Eaves. To think the sketch is from Drexler was a mistake by me. Thank´s. That was my thought at the first time. After a few more looks at the sketch from John Eaves I liked it more and more. Maybe it matches better with all the details that not on the primary hull yet. Yes I have used a nice mesh from EBOLII for some renders. 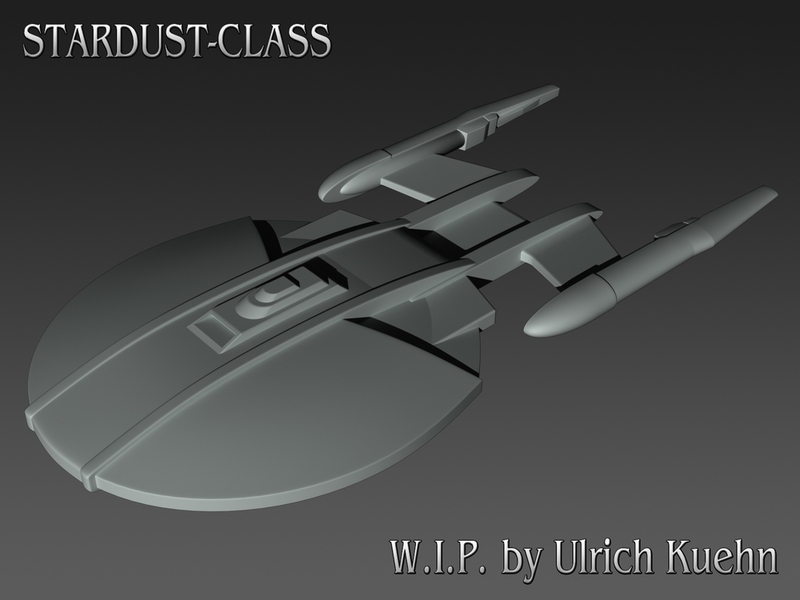 But it´s my goal to create all important ship-classes that I have in my Fan-Fictions (step by step) by myself. I like the look of your Daedalus. I also honored that you mentioned me with Madkoifish and called me an artist. Like - BolianAdmiral on March 16, 2019. BTW: You both really ARE 3D-artists IMO. 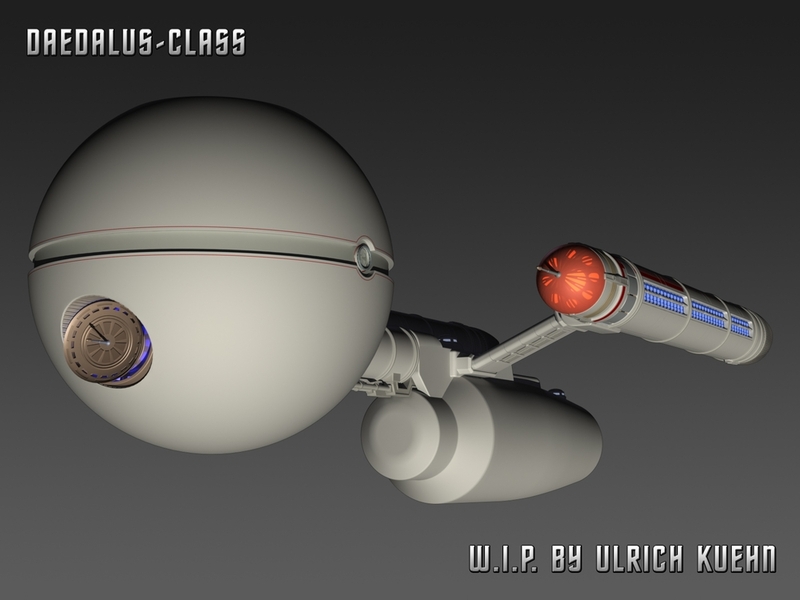 Some more details for the DAEDALUS-CLASS. Nice, but I see a few smoothing errors around the deflector due to the boolean. 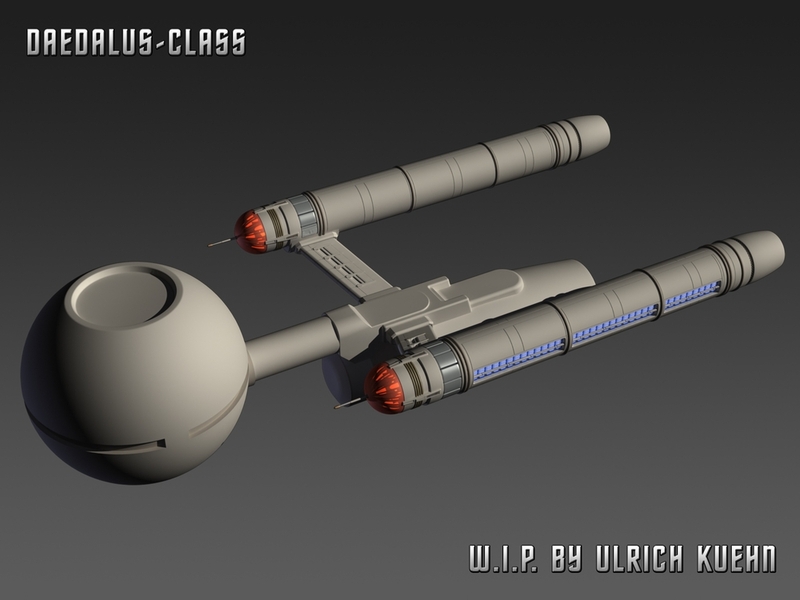 All what I´ve done today is to fix the little mesh-errors, add some details for the upper primary-hull and build the docking area.